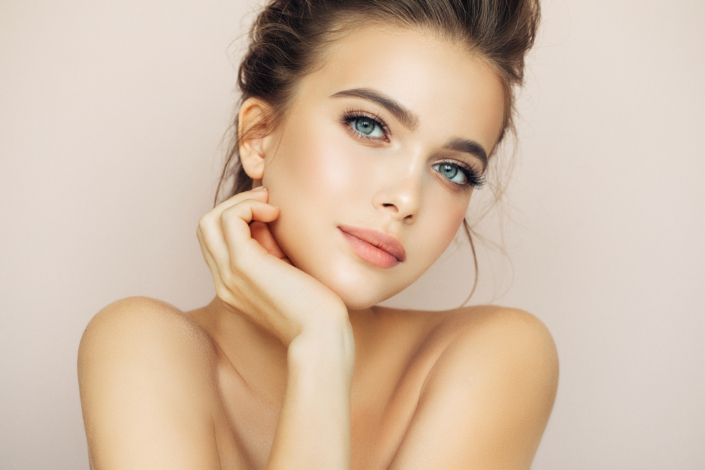 Chemical peels are medical grade, all-inclusive treatments that unclogs, de-greases, peels and purifies the skin for instantly glowing skin, without irritation or downtime. Signature Vi peel helps to improve tone, texture and clarity of skin. Vi peel– is a painless peel that helps to improve tone, texture and clarity of skin. It is gentle yet a very powerful medical grade peel for hyper pigmented skin including miasma, sun-spots and acne prone skin. Vi peel consists of a blend of trichloroacetic acid, Retin-A, salicylic acid, phenol and Vitamin C. TCA can improve fine lines and wrinkles, surface blemishes. Salicylic acid is an anti-inflammatory agent and Vitamin C stimulates collagen production. The skin is cleansed removing all traces of oil and dirt. The Vi peel solutions is applied to the face in layers which will remain on the skin for 4 hours. An after care kit will be provided and we will educate you on the best way to use these products to ensure optimal results. 3 days after the application of the Vi peel, the skin will begin to flake. Flaking process will take about 3-4 days, promoting healthy new skin. The peeling process can last up to 1 week. Resulting in luminous skin that is soft and smooth with hyper pigmentation vastly improved. During the healing process, avoid sun exposures. Wear sunscreen with SPF 30 or higher. Make-up can be worn after the treatment but should be avoided during the 3-4 days of active peeling. Using a moisturizer can mask the appearance of light, feathery peeling. A single Vi peel can significantly reduce sun damaged skin (sunspots / age spots). Additional treatments may be needed for optimal results.